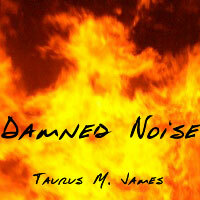 Damned Noise is a collection filled with more of my edgier, "noisier" music. I remember the many times I've heard people like my dad yelling at me, "Turn that Damned Noise down!" This collection is much more outlandish in sound and structure. Close to being abstract at times and other times just plain noisy. Listen for yourself. Then, you can decide to yell at me, but the noise will still keep coming.